Plans to demand proof of identity before voting in a bid to combat electoral fraud have been defended by ministers, amid criticism the move is a "sledgehammer to crack a nut". Councils in England, including Bradford and Birmingham, will trial the pilot scheme at local elections in 2018. The government said it would "ensure the integrity" of the electoral system. Campaigners said levels of fraud did not justify the move while Labour said it amounted to voter "suppression". A full list of the participating councils has not yet been drawn up, but 18 council areas in England identified by the Electoral Commission as being most susceptible to voter fraud will be invited to take part in the pilot. The 18 also include Luton, Slough, Woking, Coventry and Bristol. Different local authorities will trial different types of ID, including driving licences, passports and utility bills. The creation of a new form of ID specifically for voting has been ruled out by ministers. Northern Ireland already requires voters to show ID before casting their vote. Constitution minister Chris Skidmore said fraud of any kind was unacceptable and dismissed suggestions that the plans, which could be rolled out across the whole country if successful, could disenfranchise poor people who do not have ID. He told BBC Radio Four's Today programme: "Voting is one of the most important transactions you can make as an individual. In many transactions you need a proof of ID." "I'm determined to ensure, when it comes to groups who are under-registered, that they get the opportunity to exercise their vote," he added. "Ensuring those communities are protected, that the risks of electoral fraud are diminished, will ensure those individuals are represented fairly across this country." The reform was first touted by former cabinet minister Sir Eric Pickles in August, when he released recommendations amid growing concerns about electoral fraud. He tweeted that the government was "right to give greater powers to electoral officials and the police to deal with intimidation and other unwanted behaviour". In his report, Sir Eric cited research suggesting certain Pakistani and Bangladeshi communities could be more vulnerable to fraud due to a lack of understanding of the voting process. He highlighted "kinship" traditions, saying they emphasised collective over individual rights and made it more likely that people would "hand over" their vote over to others. Mr Skidmore dismissed suggestions the new measures were targeted at any "particular community" but said it was essential people across the UK were able to fulfil their democratic rights "regardless of their race or their religion". 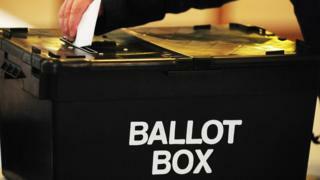 The Electoral Reform Society, which campaigns for changes to the electoral system to make it "fairer", said the move was a "blunt instrument" that could deter people from voting. "While we should take all instances of voter fraud very seriously where they occur, mandatory voter ID is a sledgehammer to crack a nut," chief executive Katie Ghose said. "The government should think very carefully before introducing barriers to voting. "There is simply no evidence to suggest that electoral fraud is widespread across the UK. Where it has occurred it has been isolated and should be tackled locally." The move was also attacked by many Labour MPs with Walthamstow MP Stella Creasy suggesting it was a "retrograde step" that was "more about combating low income voting" than tackling fraud. Shadow home secretary Diane Abbott said there was "no evidence of widespread electoral fraud" and suggested the Conservatives were "just borrowing from the US Republican playbook". But Jim Fitzpatrick, the Labour MP for Poplar and Limehouse, said he didn't have an issue with the idea as "most people carry ID". Former London mayor Ken Livingstone, who was suspended from the Labour Party and is currently an independent, said it was a "political" move and would make life more difficult for most people because of a handful of crimes. "The real problem is the people most likely not to have a passport or a driving licence are going to be the poorest and that I suspect will basically hit the Labour Party," he told Today. As well as the trials, election officials and police will be given new powers to tackle intimidation of voters by activists, who will also be banned from collecting postal votes for submission - a practice known as "harvesting". The government said it was considering plans to check the nationality of voters to stop fraudulent registrations. There will also be reforms to improve the security of the postal ballot system, including requiring postal voters to re-apply every three years.